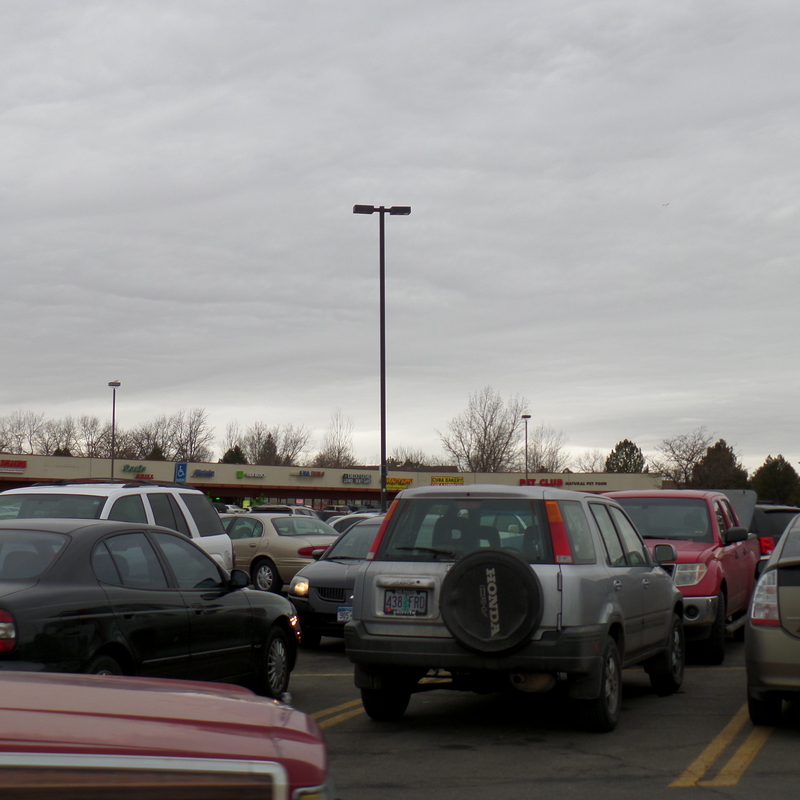 It was 1:30 on a Thursday afternoon and the grocery store parking lot was nearly full. Silly me. I thought I was the only one who had lost my job and was thus “free” on a weekday to grocery shop. I’d hate to think that so many other people are out of work, too. Maybe these folks are all just independently wealthy. I’d like to think so. In the midst of all these cars and shoppers though, there was another crowd to watch – and they were quite fun. 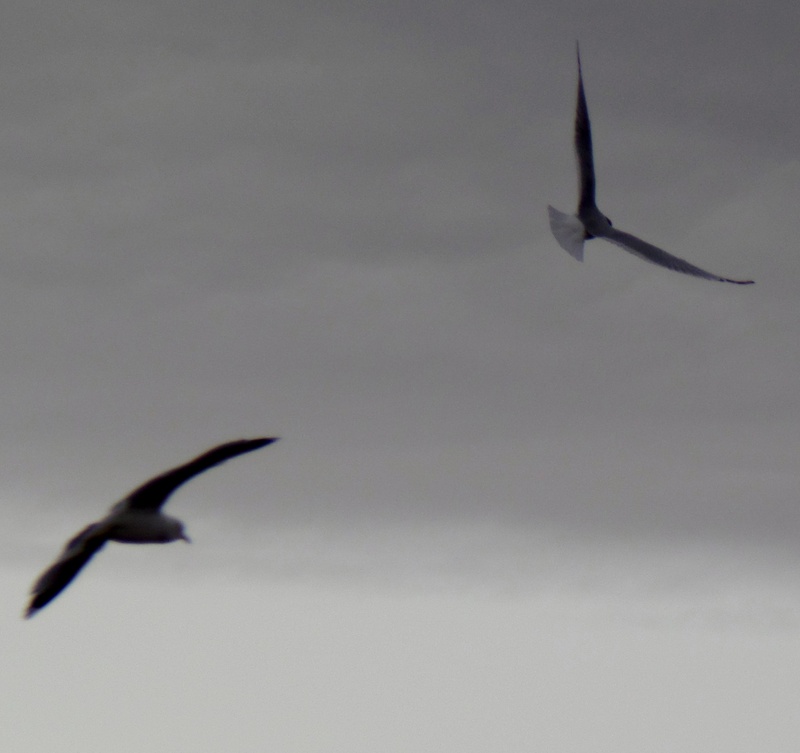 While Colorado is no where near the ocean, we have seagulls – lots of them. 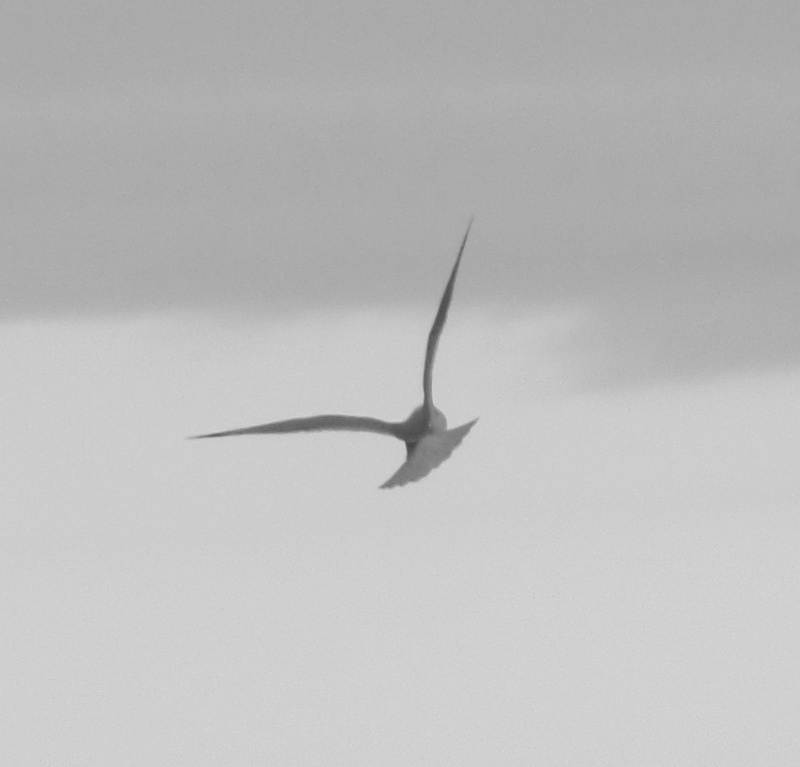 And I love to watch them – soaring, diving, gliding through the air with such freedom and grace. They were a nice distraction from the screaming sirens – police, ambulance, fire truck – racing to the accident only one block away. And so it is with life in suburbia – beauty in the midst of chaos. Or is it the other way around? I love night photography. I love the reflection of lights on wet pavement and the glow of lights against the dark night. It all seems so magical to me. It is my goal to learn how to take clear and beautiful night pictures. I have much to learn. This is one of the first pictures I took with my Samsung Smart Camera. 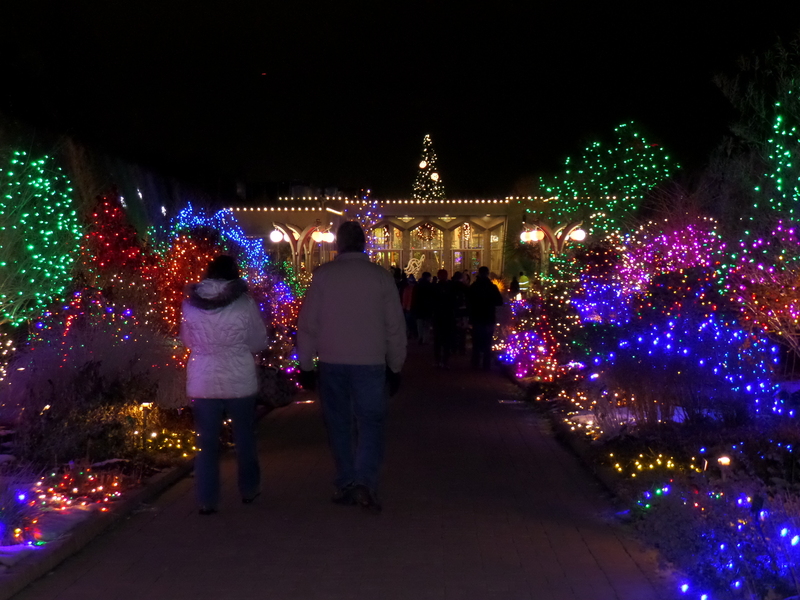 It was Christmas time at the Denver Botanic Gardens and this little foot bridge is enchanting any time of the year. 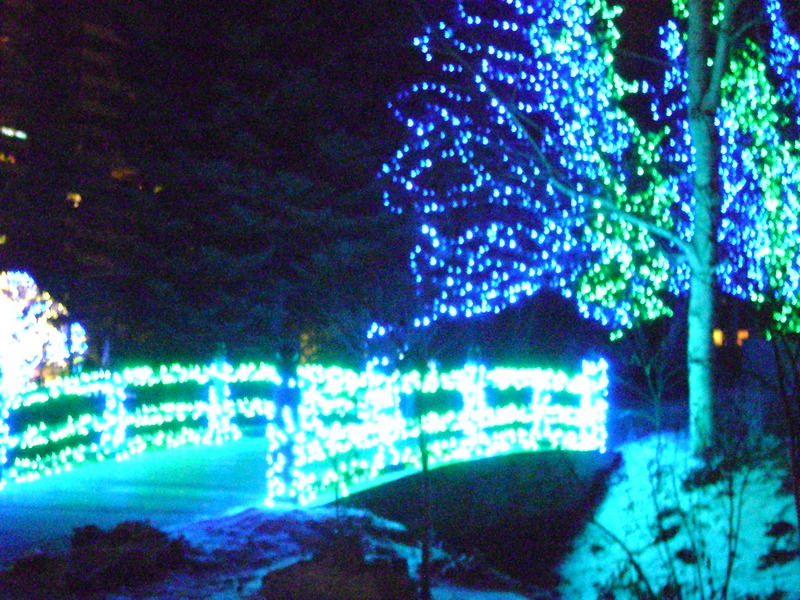 The lights of blue and green, however, were especially striking against the black night sky. Unfortunately, the lights are blurry even though my camera was supported and steady. I wonder if it is possible to capture focused Christmas lights at night – without the blur. I’m eager to learn more and how to create the impact of “light in the darkness” with my photographs. Just a few years ago, we were blessed to have been adopted by a little stray kitty who roamed the neighborhood for over a year without a home and finally decided she wanted to live with us. 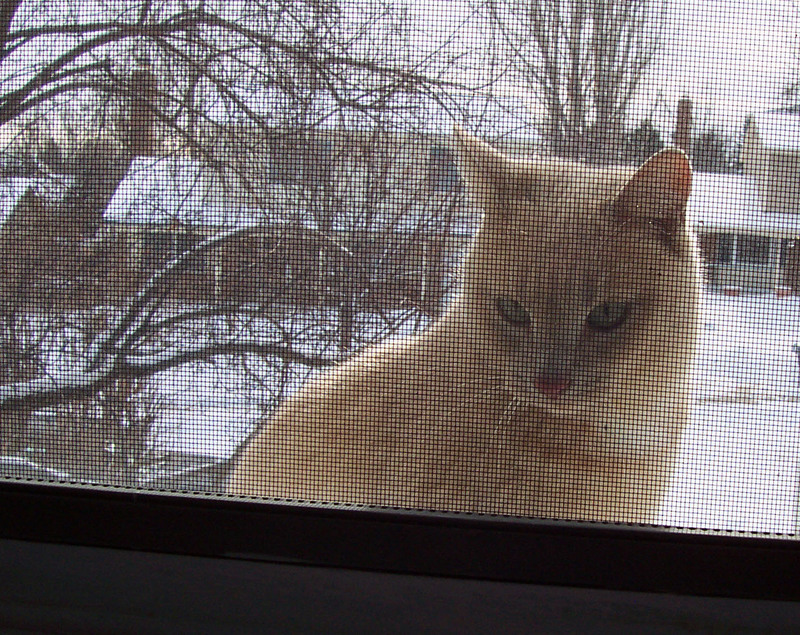 One day, I looked out the upstairs window and was surprised to find her on the roof looking in the window in the midst of a snowstorm. Soon, she was our kitty and lived a short, but happy life indoors, much loved, until cancer took her from us far too soon. 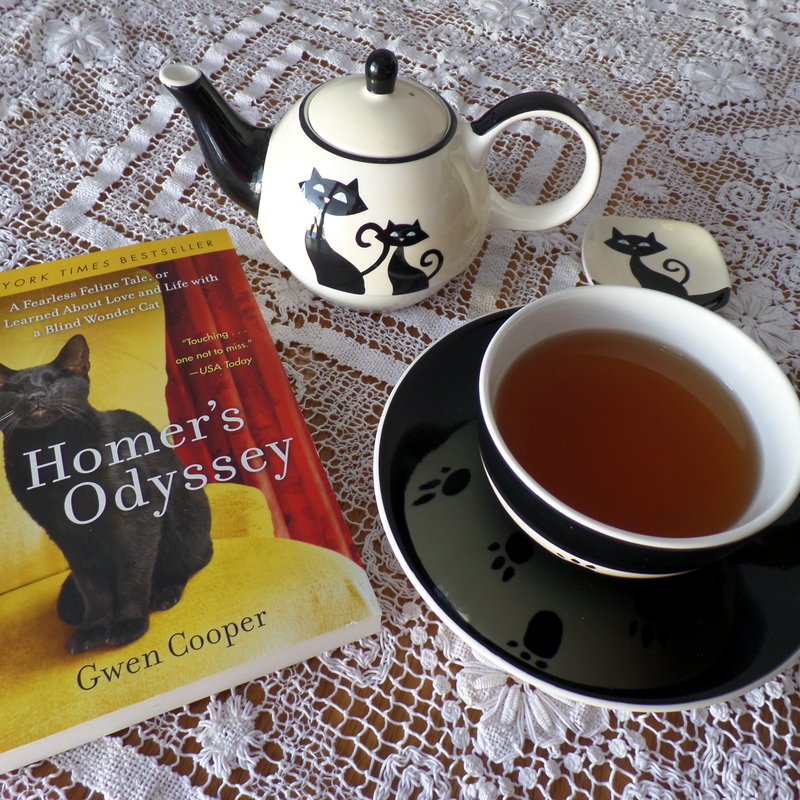 Nothing warms my heart on a cold day like a good book and a cup of nice, hot Twining’s Orange Bliss Tea. In hopes of capturing the “warm fuzzy” of the moment I was enjoying, I took this photograph in natural light, no flash, with my new Samsung camera. It didn’t go so very well. After taking many shots, from various angles, this is the best I could do. Sigh…. This much I can say for sure. I have developed a true respect and appreciation for the knowledge and/or artistic “eye” of a skilled photographer. 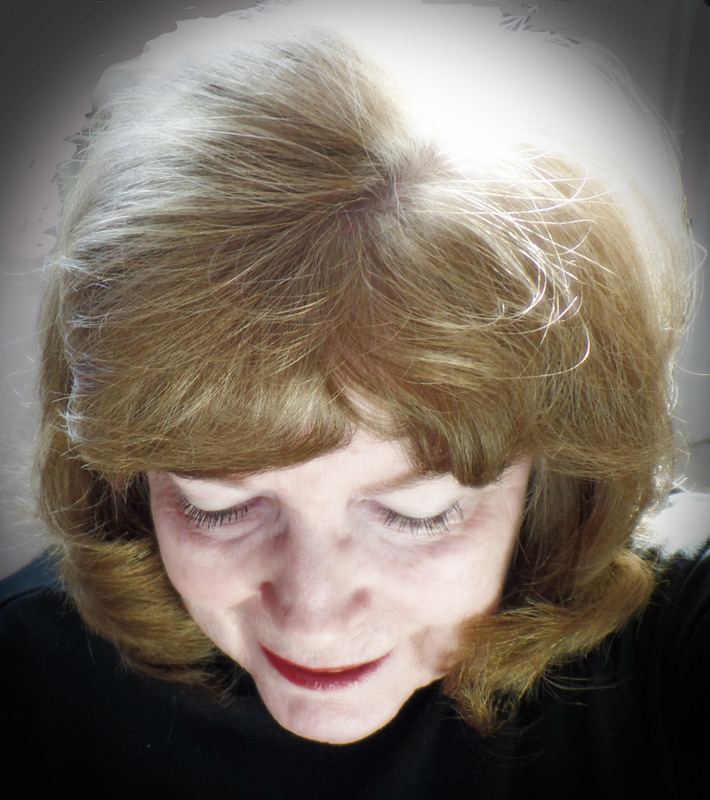 I’m learning that so many of the beautiful photographs I enjoy on various blogs like eTravelog, a blog about Michael’s travels through Europe as an au pair with stunning pictures of the Alps, and Eyes to Heart with all her lovely horse and animal pictures, require time and focus – and, yes, great subject matter, too. Unfortunately, I’m not in a position to travel, which I would dearly love to do given the resources to do so. 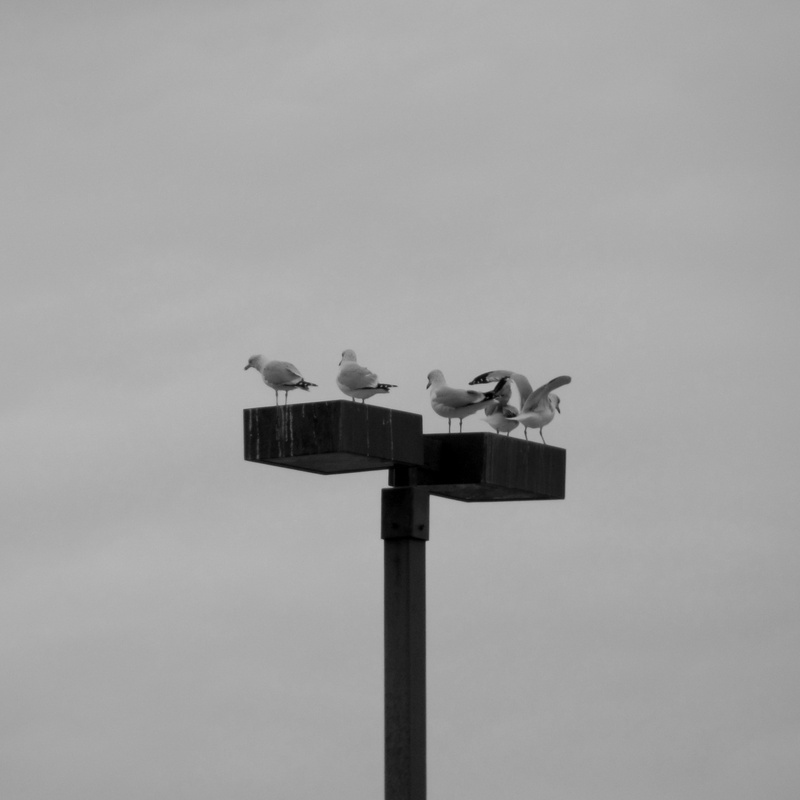 Some days my life seems devoid of beauty, so simple and mundane. I’ve come to realize this more and more as I search for beauty through my camera’s lens. So, is it my world or me who is devoid of beauty? Is beauty a matter of simple appreciation for where we are and who we are with? Or am I just not looking in the right places? Is beauty first discovered within before one can see it without? It seems that my blog has now evolved into a personal quest for beauty – and the finding, creating, and appreciation of it. 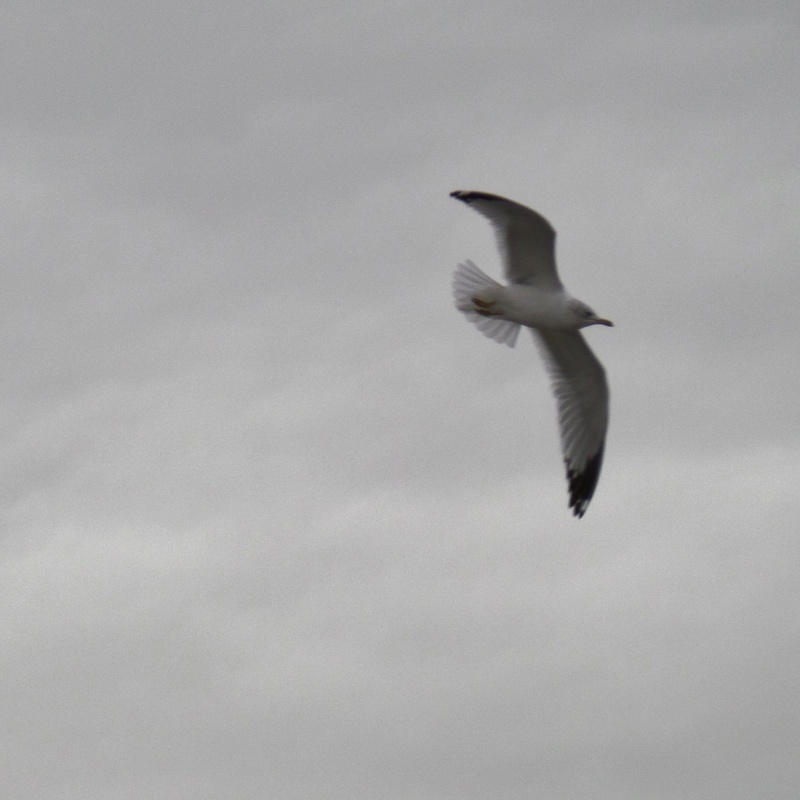 Who knew on January 1, 2014, that my camera would lead me on an intensely personal journey of self-discovery? Welcome to my self-study course, Finding Beauty 101. Foxy! And he’s not a Bronco! Life in suburbia does have it’s surprises and they’re not all related to the nightly crime report. 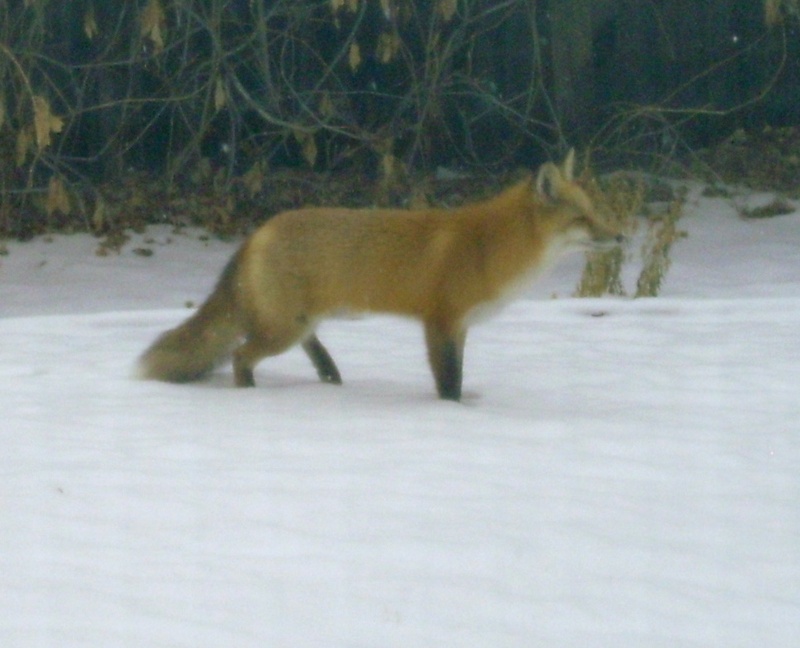 With all the talk here in Colorado this week about the Denver Broncos and our coach, John Fox, imagine my surprise when I discovered a fox of a different kind in my own backyard in the midst of a snowstorm at high noon! I shot this picture through a window with a screen, and as I said, it was snowing, so the resolution isn’t as clear as I would like. 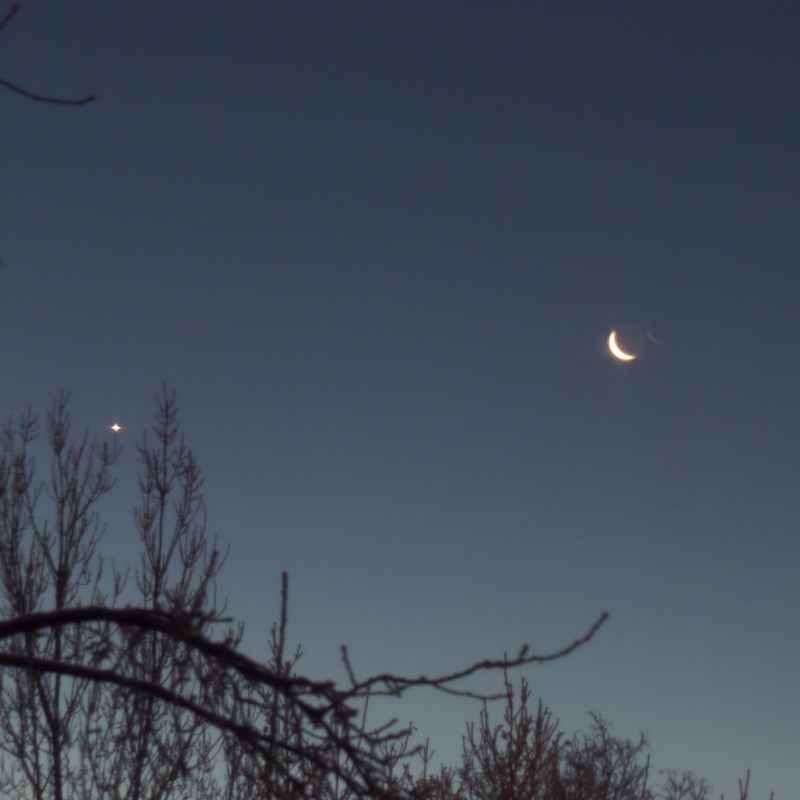 Still, I’m delighted that I was able to snap a photo of something we don’t see everyday in suburbia. Look at that gorgeous tail! All he needs is a Broncos T-shirt!